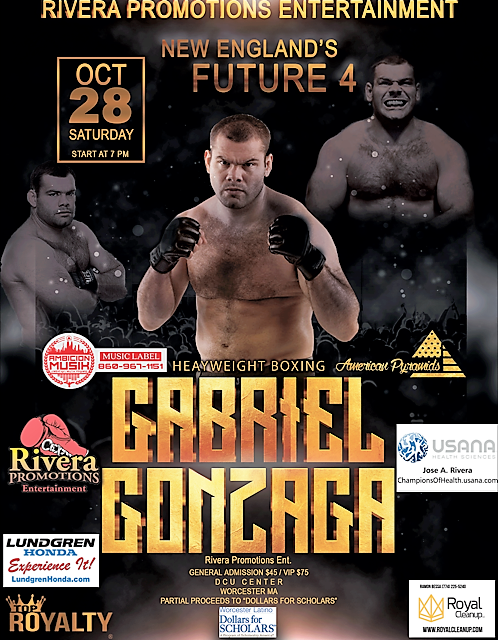 Former UFC heavyweight title challenger Gabriel “Napao” Gonzaga will make his professional boxing debut Saturday night, October 26, on the “New England’s Future 4” card, promoted by Rivera Promotions Entertainment (RPE), at the DCU Center (Exhibition Hall) in Worcester, Massachusetts. “New England’s Future 4” (NEF4) is presented by Rivera Promotions Entertainment (RPE), which is owned and operated by retired three-time, two division world champion Jose Antonio Rivera and his son, Anthonee (A.J.) Rivera. Former WBU Americans and IBU North American cruiserweight champion Vinnie “American Nightmare” Carita (16-1-1, 15 KOs), rated No. 6 by the North American Boxing Organization (NABO), headlines against an opponent to be determined in the eight-round main event. The 38-year-old Gonzaga teaches Brazilian Ju-Jitsu (BJJ) in Worcester and lives nearby in Ludlow. Now retired from mixed-martial-arts competition (17-11-0, 7 KOs, 9 SUBs, 1 DEC), the 6′ 2″, 260-pound Gonzaga holds 4th degree black belt in BJJ. 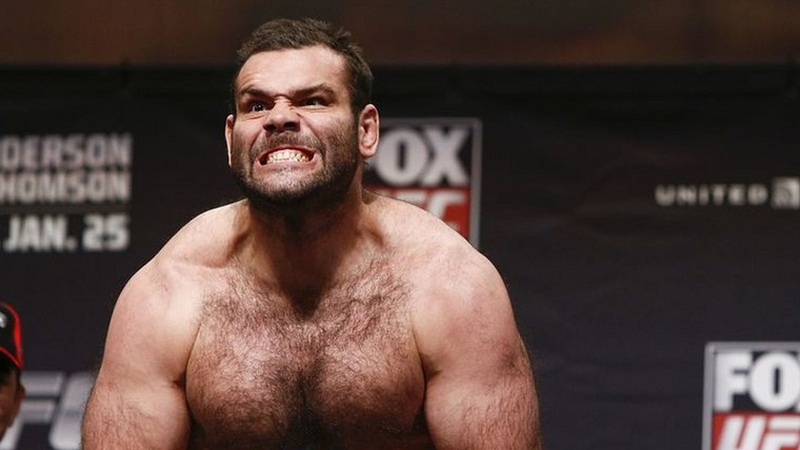 The highlight of his MMA career was at the 2007 UFC 70 held in Manchester, United Kingdom, in which he knocked out K-1, Pride and Rizen champion Mirko Cro Cop with a head kick in the opening round, positioning Gonzaga for his unsuccessful challenge of UFC Heavyweight Champion Randy Couture in his next fight. Gonzaga also defeated Ben Rothwell, Shawn Jordan and Chris Tuchscherer, among the more notable UFC fighters he faced in the Octagon.